Never underestimate the amount of inspiration you can fit into a small part of a sunny Sunday afternoon. Sustainable House Day was on again, and in a last-minute scramble, two properties were selected in the hipster strewn suburbs of the Inner West, Sydney. One, a tiny house originally standing as miniature weatherboard cottage, now as an incredible family home that I just wanted to make a large coffee, settle into the couch and chat all things gloriously green architecture with the owners. Having our three kids in tow however and the distinct possibility of them completely dismantling the house from the very foundations of which I was admiring, well coffee on the couch wasn’t going to happen. I’d love to show you a cascade of pictures to demonstrate all that we saw, however, besides a sneak peek at their delicious garden bathroom and growing wall it wasn’t my story to tell. If this place isn’t featured in the likes of magazines I’d be surprised. 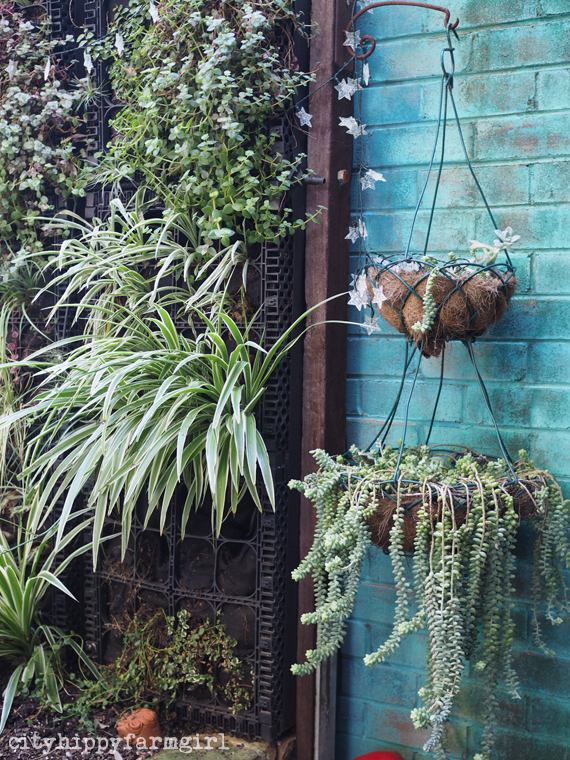 Our next point of inspiration was a deliciously cool green bursting with goodness garden. We are coming out of winter and this garden couldn’t get more enticing looking to me. 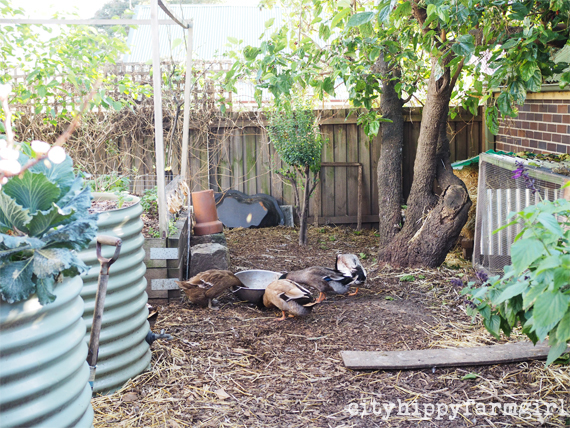 Permaculture infused, multiple homemade native bee hives, vegetables at their very door step and something that had never spoken to me before, ducks. Ducks eh….I can totally see the point now. Our whole family came away buzzing with ideas and excited by the sneak peek into a tiny part of someone else’s lives. I feel pretty lucky we even had the opportunity. Thanks Sustainable House Day, we’ll definitely see you again next year. Did you visit any inspiring places last weekend? This entry was posted in Connecting with Community, Going Green, Making, Creating + Frugal Living and tagged 2015, australia, green architecture, sustainable house day by cityhippyfarmgirl. Bookmark the permalink. I’m intrigued by the bathroom garden. It sounds more than just a hanging plant above the head and a spider plant next to the toilet rolls. Oh yes, I do! Last weekend I stayed at a Yarra Valley Estate in Melbourne who received the World Environment Day Awards for 2015 and and is committed to social sustainability. To top it off I crafting with natural fibres and dyes. I was talking encouragingly to some spider plants today Zena. Whispering to them to hurry up a grow because I was getting tired of waiting. Obviously not sure if that method is a winner. Sounds like a wonderful weekend to be had crafting at Yarra Valley Estate. Doing stuff like that is just food for the soul isn’t it. I’m intrigued about the ducks as well. I’d love to hear more. Why might someone have ducks instead of chickens? Hi! I more or less expected to bump into you at the Eco living fair :-). This looks great too, a very inspiring weekend! I know! It was the first year we hadn’t gone. Did you have a good time? The Sustainable House Days are great, really inspiring. Your most welcome Ms Narf. Keep plodding, you know it will be worth it when you are harvesting those first juicy tomatoes of the season. Charlie see Rose’s comment below regarding the ducks but from what I understand they are far more efficient with slugs and other slug like critters. Their eggs are also better for eating. Quack quack!! I have one Indian Runner and she’s the cheekiest of the bunch. My fav breed is Silver Appleyard – quite small and pretty 🙂 No harm in having a read hey?! Hmmm . . You are making me think!! I have toyed with the idea of a garden bathroom, but have yet to get to that . . And ducks!! We are moving from a house to a sailboat so ducks are a distinct possibility!!! Great post! I went & checked out a couple houses in Hilton (Western Australia). I left feeling so inspired.